Fish the world famous Yelcho Lake, for huge Brown Trout, Rainbow Trout and King Salmon. Our guided fishing trips offer incredible fishing for all levels of anglers. If you are looking for memorable fishing holiday, we can make it a reality. Our lodge is located on Yelcho Lake — Chilean Patagonia which is in the heart of some of the finest waters in the world. 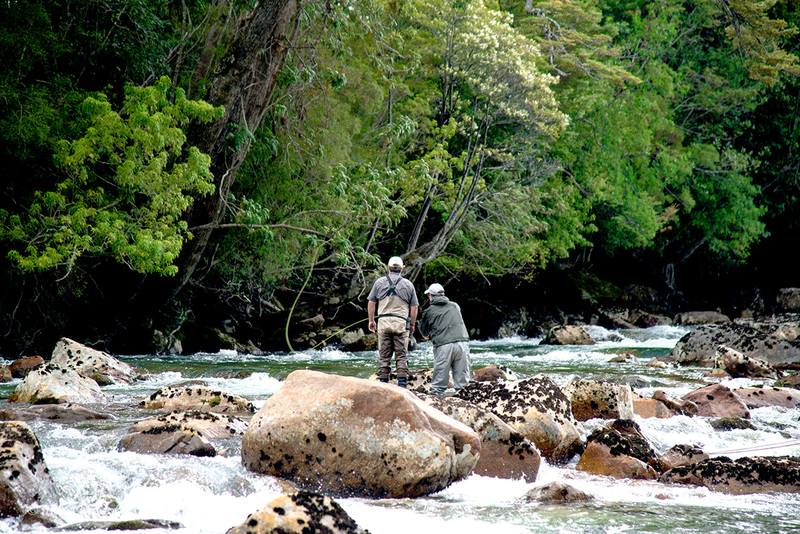 We fish the Yelcho River and tributaries such as the Futaleufu River. With the lodge’s perfect location, you spend more time fishing and less time travelling. 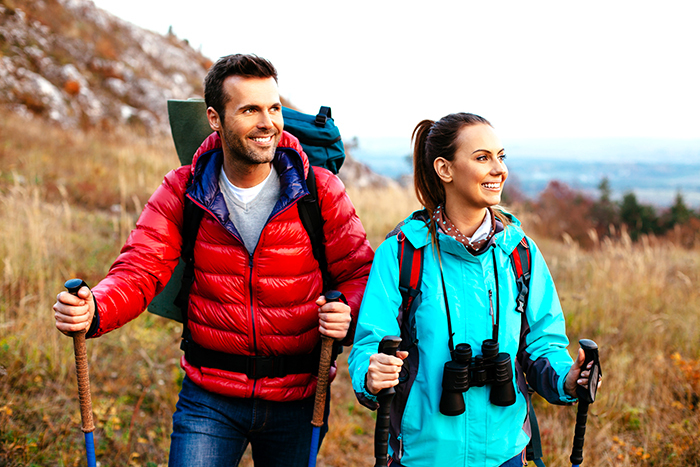 The region offers diversity as well as a long season that starts in mid october (spring season) and continues through to late april (late fall). Whether single-handed fly fishing or fishing with conventional tackle, there are a variety of waters that will meet your fishin Fly fishing in Yelcho Lake is a unique experience. Imagine casting to big, healthy trout in crystal clear water without seeing another person all day. There are miles of still and moving waters throughout Yelcho lake and River with very little fishing pressure. Our waters offer a complete variety of different types of fishing, from big dry flies and weighted streamers to tiny emergers, nymphs and spinners. We fish both floating and sinking lines, dry and wet flies at different times of the season and throughout the day. 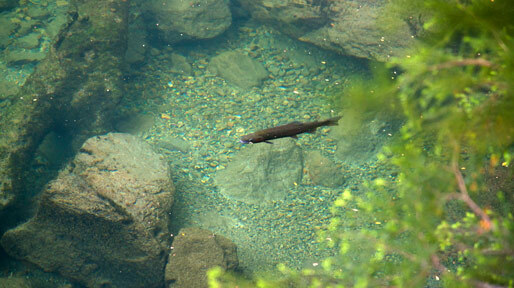 When fishing the yelcho and futaleufu river, much of your fishing will be with streamers and sinking lines. 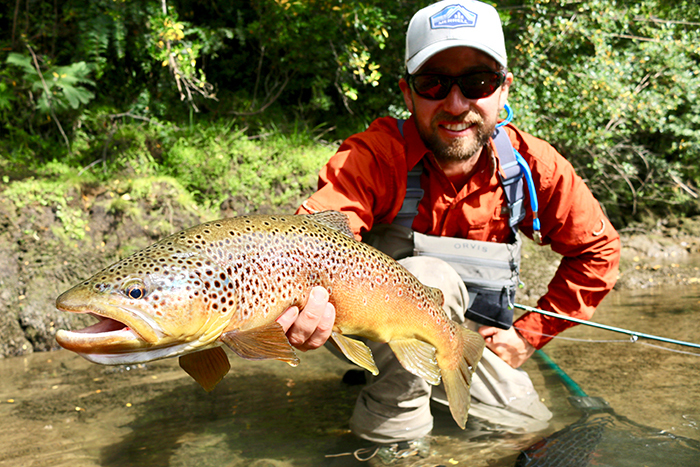 Hatches on much of the river are sporadic and the biggest fish are best drawn out with streamer patterns. There are several sections where nymphs are especially effective, and a tiny spring creek where sight casting to cruising fish can be a delightful change of pace. The region offers diversity as well as a long season that starts in mid october (spring season) and continues through to late april (late fall). Whether single-handed fly fishing or fishing with conventional tackle, there are a variety of waters that will meet your fishing Imagine casting big, healthy trout in crystal clear water without seeing another person all day. There are miles of still and moving waters throughout Yelcho Lake and River with very little fishing pressure. 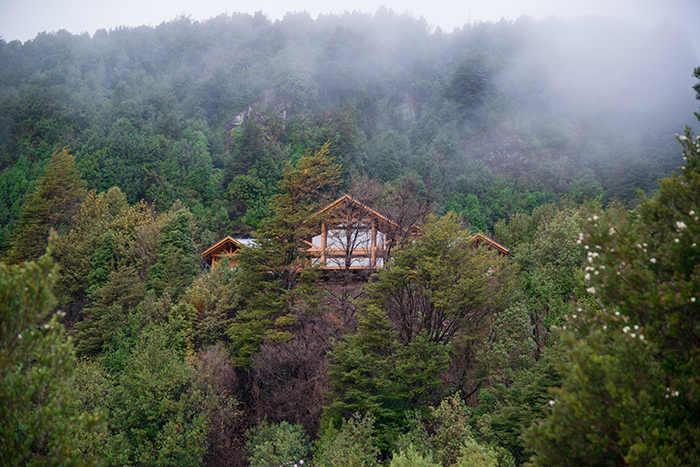 The lodge is nestled on a hill with a unique view of where the Yelcho River is born. It is a privileged site that has views of the glaciers and the Andes Mountains that in this regions blends into the Pacific Ocean forming the fiords of southern Chile. Breathlessly watching a chunky Brown trout rise from dephts of the river – as if in slow motion – to erupt on a big Tjernobyl Ant or Cricket is the epitome of what Patagonian trout fishing is all about. And you’re hard put to find a more picturesque place to experience this than on the Yelcho River. to really see what we’re all about!